I had a hard time keeping their names straight but I think I finally have it, Toopy & Binoo! I loved this cake as I got to carve a sofa out of cake which brought out the Interior Designer in me. (Which is my full time job.) 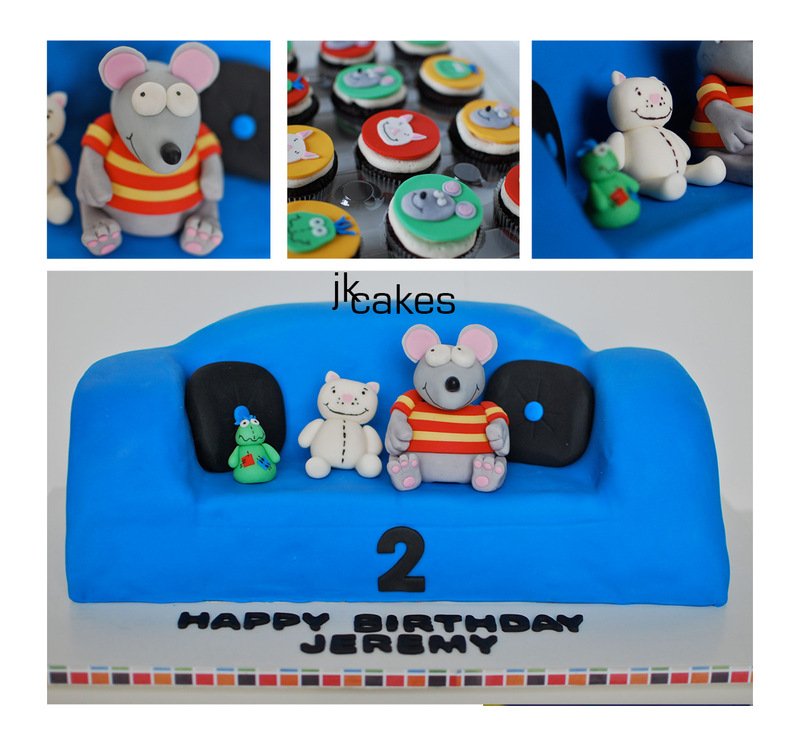 Though I am not sure I have used a sofa that colour in any of my other projects it worked perfect for a colourful two year old's birthday party.